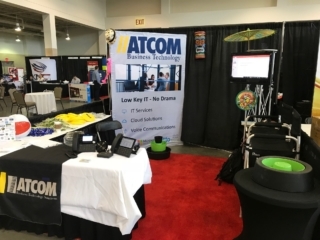 ATCOM participated in the NCLGISA 2018 Spring Symposium again this year. 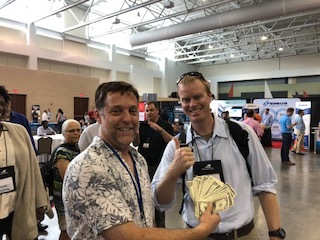 NCLGISA is an association of North Carolina local government information technology professionals. Its purpose is to assist its members in sharing experiences and ideas and in undertaking cooperative efforts intended to achieve the association’s goal of improving the effectiveness of local government information systems. 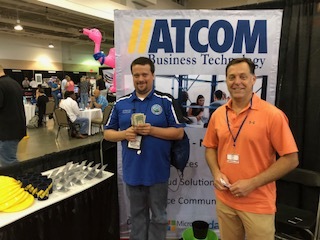 The ATCOM team always brings some cleaver themes and games to help make it fun to learn about technology. 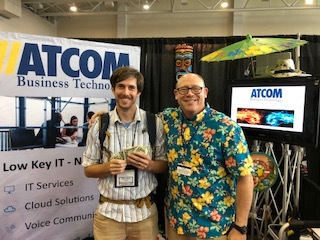 This year they did a tropical theme and gave away a little cash. Check out the pics below. 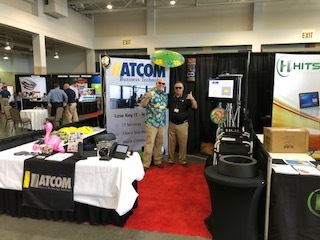 Thank you to everyone who came by the booth we will see you next year. 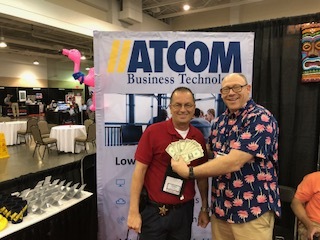 “ATCOM always bring a lot of creative and fun to the NCLGISA event.” Mike P.